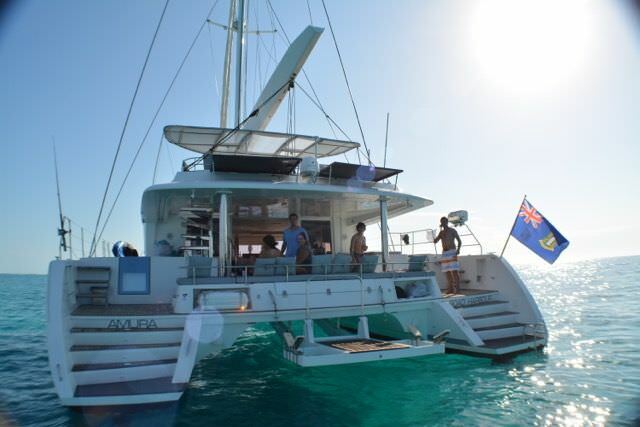 Beautifully designed with comfort and style in mind, luxury sailing catamaran AMURA II is an elegant charter yacht delivering a first class sailing holiday in the Bahamas. 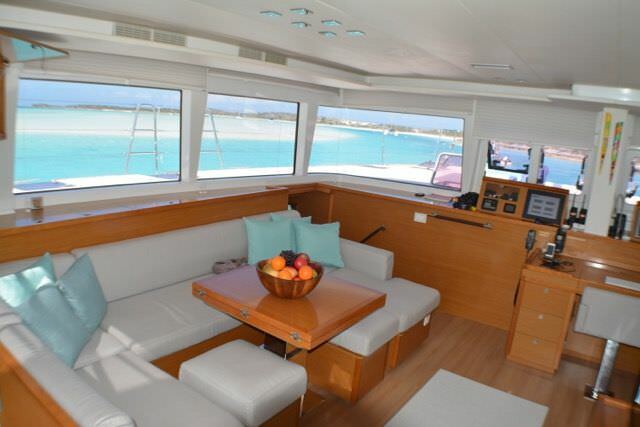 Suited for those that appreciate modern sophistication, this superb 56' Lagoon from CNB Bordeaux offers stylish open and bright living areas, plenty of deck space for lounging in the sun, and exceptional amenities. 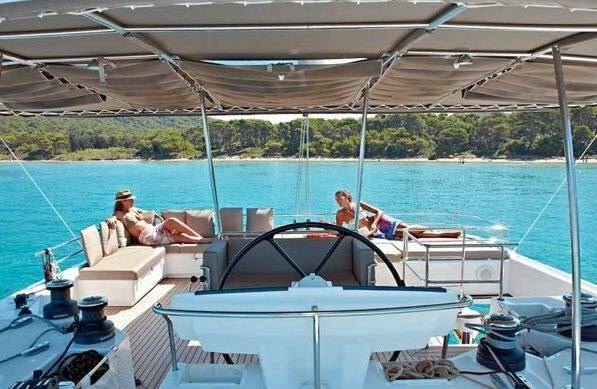 Guests enjoying a yachting getaway onboard charter yacht AMURA II are invited to relax and unwind in the most beautiful of surroundings. Contemporary in their design, the lovely interiors are spacious, elegantly appointed, and impeccably maintained. The salon finished in a soothing color palette has panoramic windows allowing natural light to flood through, lots of comfortable seating options, and stylish furnishings. 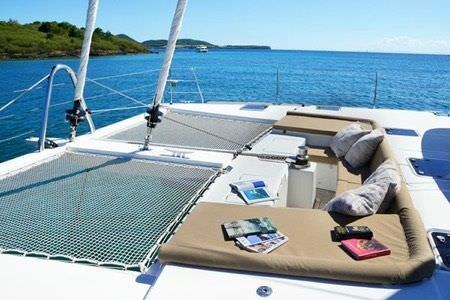 Delivering a sweet retreat and a respite for relaxation, guest accommodations onboard sailing catamaran AMURA II are divine. 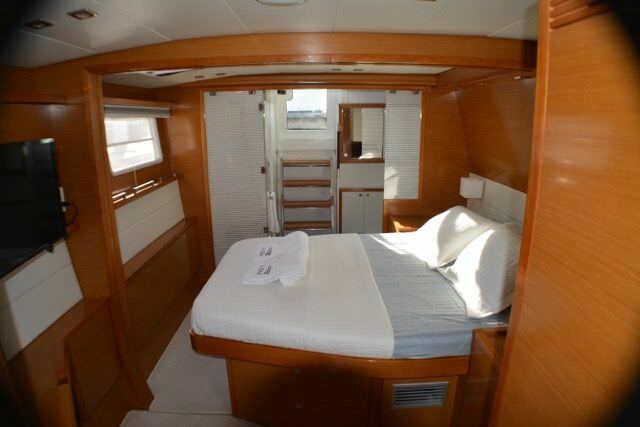 There are four elegantly-appointed double cabins with space for up to 8 guests, each of which are ensuite and feature a radio, mp3 player, TV and DVD. 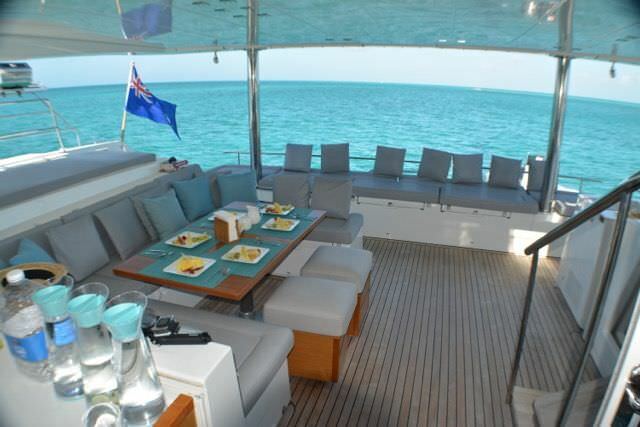 Affording guests spectacular views during their holiday, the deck areas offer a variety of options for taking in the sights and with sunny skies and blissful tropical weather year-round in the Bahamas, many moments are sure to be spent outdoors. 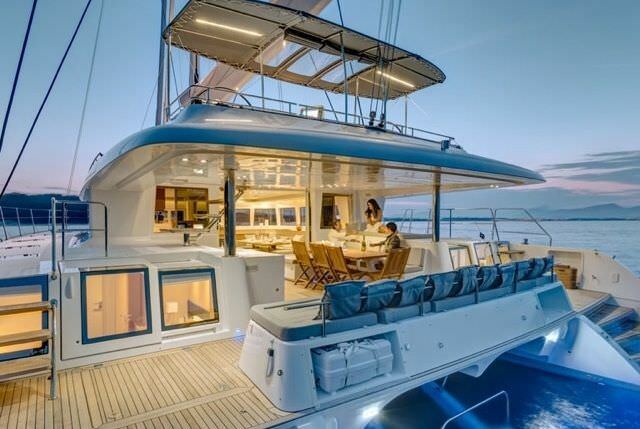 Whether savoring an alfresco meal on the aft deck, getting kissed by the salty air on the forward trampolines, or soaking up the sunshine on the flybridge, AMURA II delivers the finest perks of a sailing getaway. For non-stop fun and exhilarating action on the water, there is a wide assortment of toys including kayaks, water skis, donuts, and snorkel and fishing gear. 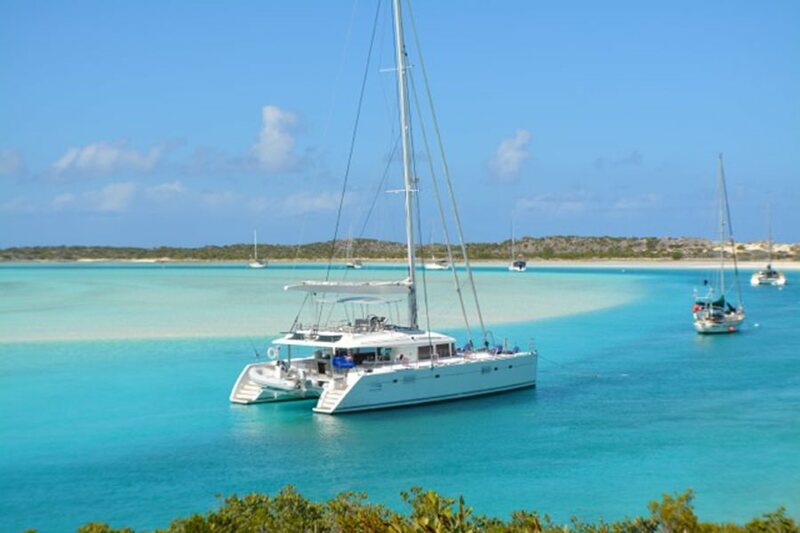 Nothing less than exceptional, delivering standout style, supreme comfort, and superb service, a heavenly sailing holiday exploring the islands of the Bahamas awaits onboard luxury catamaran AMURA II.